Earthworms don’t have much of a brain, so they live by simple rules. One rule is “stay away from dry.” This is a pretty good rule most of the time. It keeps them in moist dirt so they don’t dry out. That’s why you don’t usually see worms above the dirt. When it rains, their rule doesn’t keep them underground anymore. If they go back down into the dirt, they are fine. If they are on a hard surface, like a sidewalk, they may be in trouble when the water dries up. Can you think of any other rules an earthworm should have to keep it safe? You may want to study animal behavior. You have asked a very interesting question about a phenomena you have probably noticed yourself! Nice job! You have completed the first two steps of scientific hypothesis testing: observations and asking questions about those observations! 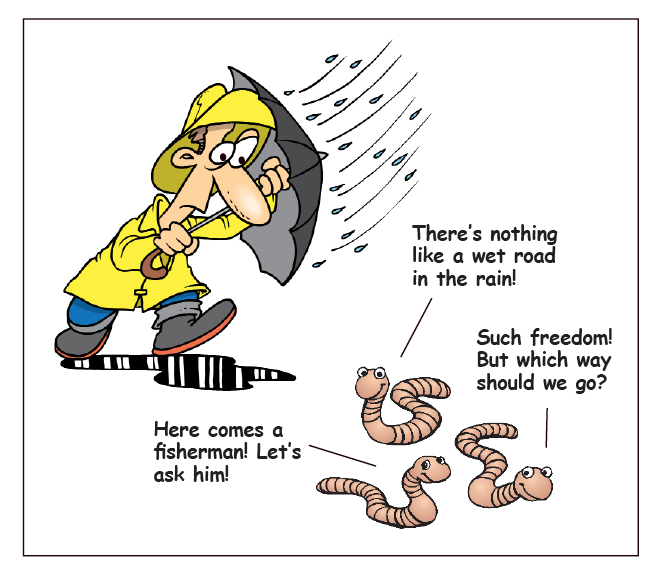 Also, here's a cute cartoon of worms on the move!